There are many other answers that talked about the pomodoro technique. I would like to share how I have applied this technique in my work. First, the gist of this technique is to have 25mins of hyper focus time, then a 5mins break. A session includes 3-4 25mins work with breaks in between. Between each session, take a long 20-30mins break. This is a technique of focusing. While it is easy to use the technique, the question that I often have is "what" to focus on. I could be very focused on Facebook, or video games, and the technique still works. Also, I am often catching myself thinking of other things while I'm trying to focus in the 25mins. So here's what I did to better prepare myself for pomodoro technique. Each of these steps can be completed using pomodoro technique too! 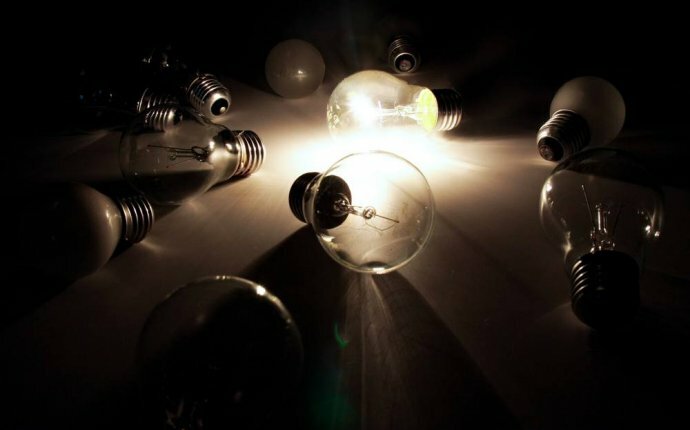 Know what is your greatest problem when it comes to focusing, and what is the motivation for focusing. For me, I want to be focused so that I can be productive. But my greatest difficulty is that I have a lot of things I want to do, or my mind tries to distract me from my current work. Knowing that I want to be productive, I listed down everything I want or need to do. You can categorize them in however way you want to (personal, work, projects). I usually do this at the beginning of the week, on Monday, or Sunday night. I would brainstorm everything I need to do. Next, looking at the things to do, pick the tasks that you need or want to complete or start THIS WEEK. I say start because some task are long term, some are shorter. If it is a broad goal like "learn guitar", start breaking down the steps to take to start the task. Put all of them in a to-do list for this week. You can be over ambitious, or under performing on the list, that's ok. What's important is that u have something to hyper focus on with the pomodoro technique. Rank everything by importance. What's your biggest distraction? Prepare yourself against that. For example, I'm less concerned about the environment where I'm working at, but more concerned about how my brain likes to think about other things when I'm working. If you have issue with the environment being distracting, then change the environment. Clean your desk, or go to the library, whichever works. If you are like me, being more distracted by other less important things like putting out the trash, needing to cut my nails etc., list them down on another piece of paper. I call that the to-do list for breaks. 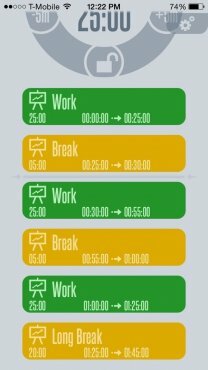 Interestingly, I don't need to spend time generating these, they will pop up whenever I try to focus, so I just put them down on that to-do list for breaks (I will explain that later). Once you have things to do, and distractions away, you can now start applying the pomodoro technique. Focusing is a discipline. You need to trust the pomodoro technique that it is possible for humans to be hyper focused on only ONE thing for 25mins. Even if it's something you dread (that's what I tell myself). Pick only one thing to do at anytime time. You can multitask all you want during the break, but during the 25mins, do only one thing. If you finish your task early, you have the option to stop the time and take a break or start a new task. Even if you did not complete the task in that 25mins, take the 5mins break, and continue the task in the next 25mins. The most difficult part for me is the first few pomodoro. Like I've mentioned earlier, my brain would be distracted like: "I'm thirsty, I need to adjust the AC, somebody pinged me on facebook." during the 25mins. So I would write them down on my to-do list for breaks (I keep a pen and paper close to me so I write them down whenever), and tell myself that I will do those stuffs during breaks. The only exception is when someone calls you or stops you physically, and of course during emergencies like fire. That's when I will pause my timer, or run for my life. If not, everything else can be deferred to break time. Don't be overly harsh on yourself at the beginning. When you realize you are distracted, gently pull yourself back to focus. If after one full session (3-4 25mins), you are still unable to focus, try (1) working on other stuffs on your to-do list, or (2) try a different time or method to work. What's important is that you follow the pomodoro technique consistently. When you are experiencing difficulty focusing, encourage yourself that the breaks are only 20mins or less away. When you are getting the "flow" of working, I still encourage you to take the 5mins breaks. Or at least, the long breaks in between sessions. Why? Because the practice of focusing is more important than the task itself. Being able to always come back anytime and start working is a more important skill, than to depend on the "flow". Also, you want to avoid burnout. Ideally, we all want to be able to get into the flow whenever we needed. You can adjust the 25mins work phases to any time period you want. Start with 25mins first, and slowly adjust it longer as you get better at focusing. Also, remember to adjust the time for breaks accordingly too. Relax comfortably, close your eyes. Meditate if you know how to. Prepare for the next task. Opening a file, or gathering related documents etc. Track your progress. Note down how many successful uninterrupted pomodoro you have achieved in a day, at what time. It's encouraging, or embarrassing, to see your progress. 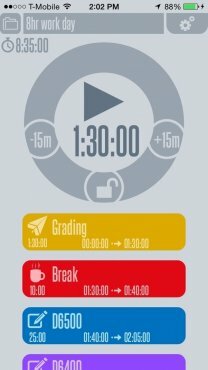 I use an app to time myself for the pomodoro technique. There are plenty of apps out there, but I'm just going to share mine coz it suits me best and I use it for other stuffs too. - How to develop focus? Why is it important to stay focused? How to get your focus back?